Last week, a group of amazing women – and a few stellar men! 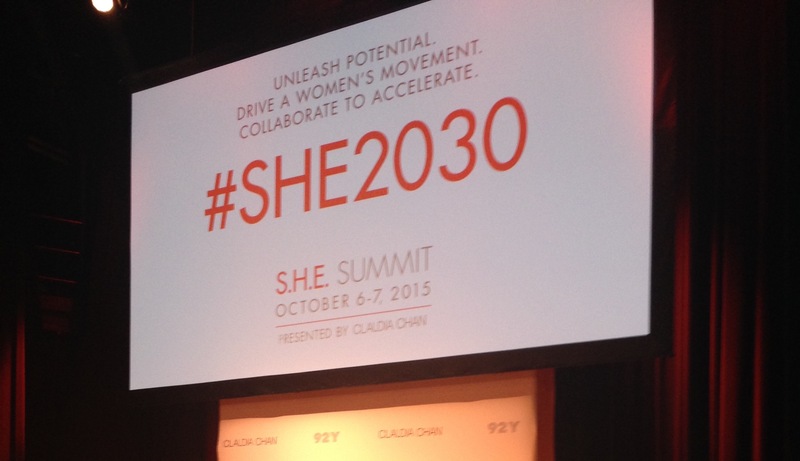 – came together in New York City for two days of empowerment at Claudia Chan’s Global S.H.E. Summit 2015. Founder Claudia Chan has built a powerful community, and she and her team did a fantastic job of curating a blend of engaging, intriguing, and very quotable speakers with diverse experiences, stories, and strategies to share. Do you ever attend a conference packed with so much good information and inspiration, leave with a notebook full of notes, and then never look at them again?! With so many new ideas and connections, it can be overwhelming to know where to start with implementation when we get back to real life and face a thousand other urgent and pressing work and life responsibilities. So, here are my “Jen’s Notes”…a guide to my favorite takeaways with action steps for growth. Use them and let me know which resonate most with you…and what I missed that sparked something in you! Each of us has the potential to be a more powerful leader in our own life and work, whether we manage a team of hundreds or work for ourselves. Here are 8 factors that kept emerging throughout the S.H.E. Summit conference – common threads and characteristics that true leaders have embraced and internalized – and some action steps that can help us get there. True leaders are comfortable in their own skin and follow an inner compass to share their unique talents and vision with the world. They understand their strengths and weaknesses. They maximize and communicate those strengths. They identify areas of improvement and get help or delegate. Action Step: Take time to reflect and meditate on your “Inner Mentor. This is a vision of yourself 20 years in the future. 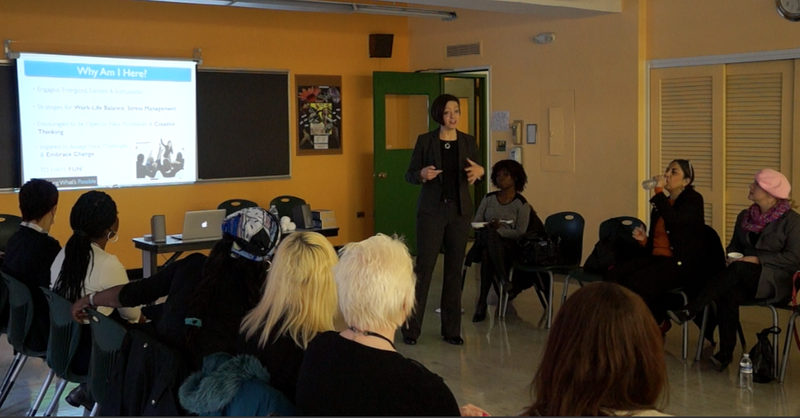 What does she (or he) look like and value?” – Tara Mohr @TaraSophia. Write it down. Stop listening to the stories around how you’re “supposed” to be and create your own. Being in touch and aligned with our mission, passion and purpose – something bigger than ourselves – is what keeps us going through the rough patches. It provides a filter of intention through which we can pass every action and ask, does this advance my mission? Define your WHY. Feelings of being “stuck” usually happen when we are not aligned with our passion and purpose. 1. What do I truly love? 2. What really pisses me off? The answers will reveal your unique passion and purpose! There will be setbacks, or as I say “drops.” When learning to juggle or learning a new pattern, dropping is part of the process. The only way to make progress is to pick up the ball and keep going. When we learn from the drops and figure out what went wrong, we can make adjustments for the next attempt. Success takes hard work and practice. Action Step: Look at a recent mistake, setback or challenge. What happened? What could have worked better and why? What can you learn from the process and modify for your next attempt? Write down 3 things you can tweak for a more desired outcome. Most of us will have several iterations of our career, and our life path will take many twists and turns. It’s important to be flexible and patient with ourselves as we discover that path to living our purpose…and have the self-confidence that we will figure it out with practice, hard work, and commitment. 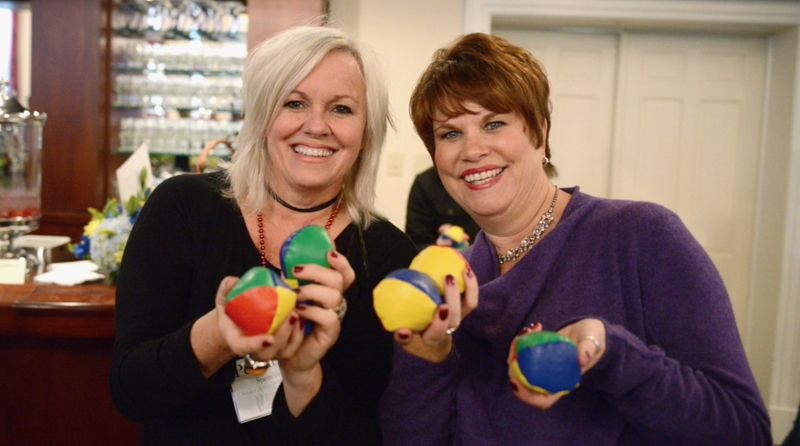 In a purpose driven career, work and life are integrated – it’s a juggling act. Each of us must discover our own unique pattern or combination of priorities, and be agile enough to adjust that pattern as life changes and priorities shift. Be patient with yourself and understand that life takes practice. Action Step: Yes, it’s good to set goals, and yes, it’s unrealistic to assume that they won’t change as your move along your path! Make a 5 year, 10 year, 20 year dream plan, and then acknowledge that things may go completely differently. You can’t go wrong if you act in alignment with your passion and purpose. Oh, and LEARN TO JUGGLE. Yes, seriously. Balance was a controversial word at S.H.E. Summit! Does it exist? Not in the way that many people think about it. Balance is not static. It is fluid and requires constant adjustments – an exercise in both focus and flexibility. 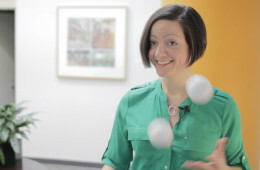 Work-life integration may be a more accurate phrase, but really life is juggling. 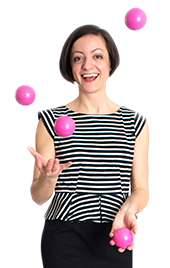 Jugglers can focus on one thing even in the midst of many moving parts. Balance begins with taking care of ourselves. Action Step: Create a morning routine that allows you to put yourself and your most important priorities for the day first, (a few minutes of meditation, movement, journaling, planning, etc.) before checking in with the outside world. Practice it each day until it becomes habit. Set boundaries…don’t start the morning with your cell phone and email! Be a Superhero…start a movement! The #1 reason women don’t pursue their own business is a lack of self-confidence. The antidote: Take Action. Find a Mentor. Action Step: Find a mentor, advisor or coach. Reach out to colleagues, family, friends for recommendations. A mentor can help you identify priorities and map out a bold plan of action. Limit time spent with fearful, negative people. They are holding you back. Collaborate to Accelerate. We can accomplish more when we work together. Build up a team to cultivate the greatest potential. We all have unique gifts. Serve others and be a role model to inspire the next generation. Action Step: Form a mastermind group with colleagues. Tap into the collective knowledge and experience. Find a way to share your unique gifts to fill a need in your community. 3. What action steps do I need to put in place to get there? Leave a comment below about your favorite takeaway!